Walk in test Chamber are used for various types of testing such as prototype evaluation, research & development testing, production testing, accelerated stress testing, reliability testing, failure analysis, and any other application where environmental simulation is needed. Competitive price and 12 months free parts warranty. 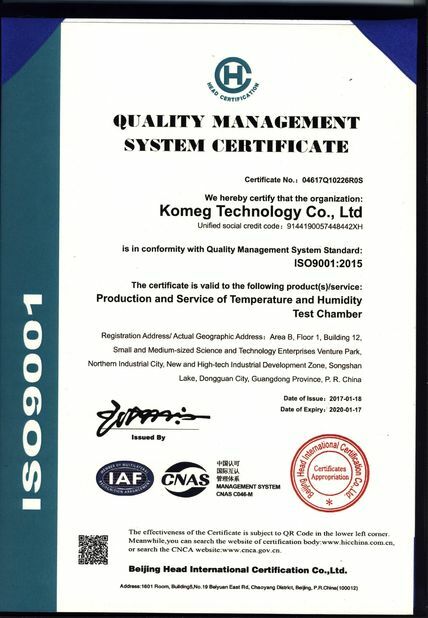 1.Heat preservation material, we use high-intensity PU foam with flame retardant material and high density glass fiber cotton, which can assure high precise and better uniformity and avoid unnecessary energy loss. Meanwhile, our design can better assure personnel safety when operating a Walk-in Chamber. 2. 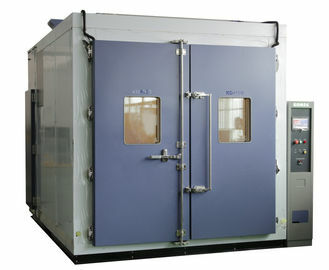 Large glass window design, viewing angle in all directions, hollow electric plating film and anti-condensation design; built-in LED lights to facilitate the test sample state of real-time observation in the course of testing; double door design, the inner big glass door with hand-in holes for the convenient operating. 3. 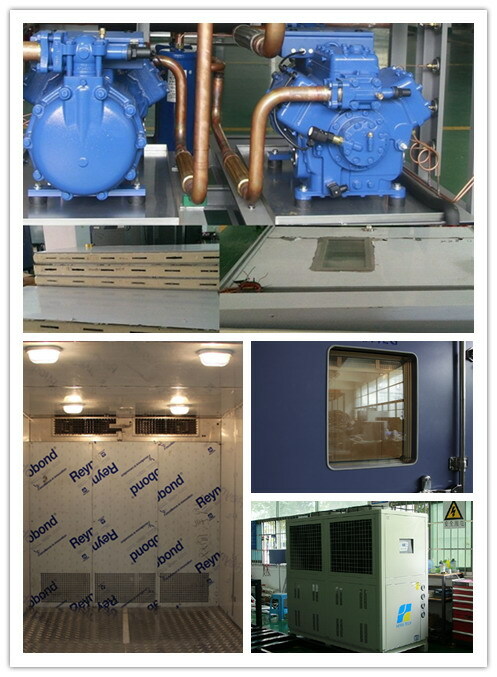 Material quality of inner box is SUS304 # mounted stainless steel imported, and outer box is steel plate and the paint process applies automobile coating technology. 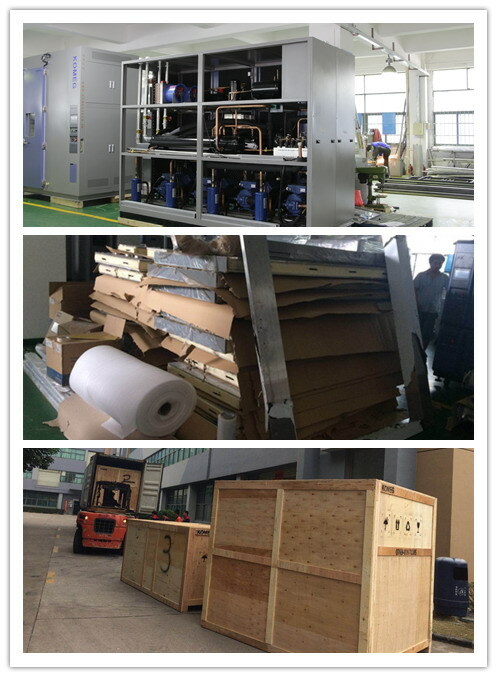 Box body is processed shape using Triumph processing machine, its shape is nice and neat. 4. Large-size Full Color LCD touchscreen displayer, simple operation, easy to edit programs. PID with automatic calculation function; self-diagnostic function, show failure message and failure shot solutions step by step. 5. An RS-232 and RS-485 communication interface, matching recorder, strong expandability. We also support remote control by PC via wifi or wire (recommended). The ratation regenerating dehumidifier ensures precise control of low humidity for electronic reliability tests. 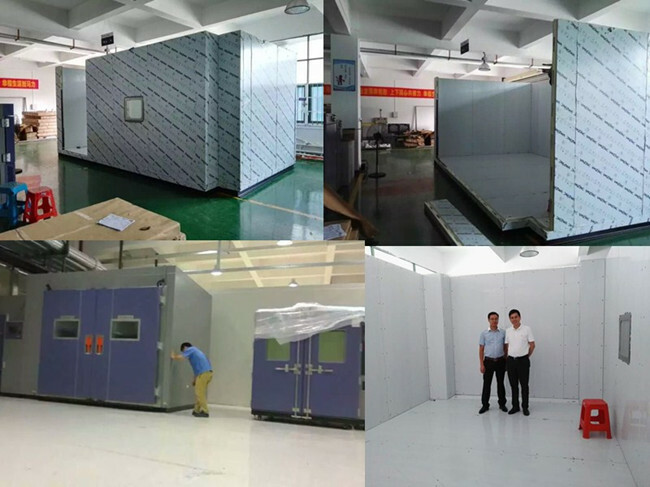 the walk in chamber will be assembly and test running in our factory, and then dismantled and shipment to the customers site and then our engineer came to there re-assembly and test. 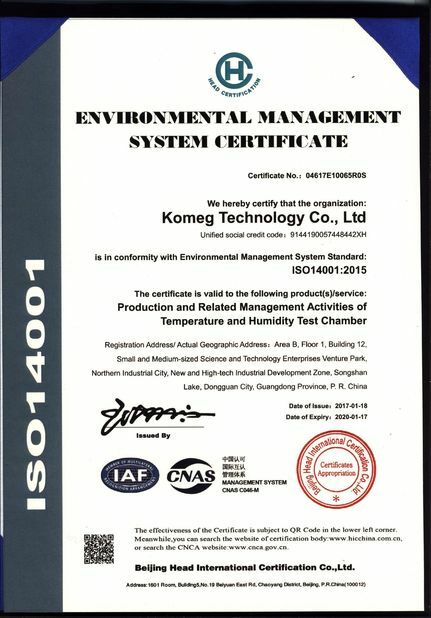 For more information, please visit: www.komegtech.com.